Natural Body Wash Recipes That Are Quick And Easy To Make! Easy Peasy Natural Body Wash Recipes! 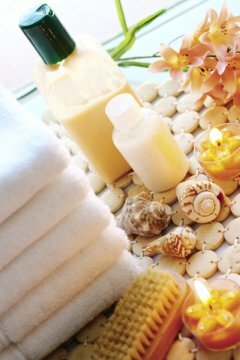 These natural body wash recipes gently clean and moisturize and are suitable for even the most sensitive skin. You can use these recipes as they are or substitute your own essential or scented oil that is suited to your skin's type and personal preference. To store your natural body wash use a plastic bottle or something that is safe for use in the shower. Shampoo bottles are easy to get and ideal for body wash. Try one of these recipes and not only will you be surprised how easy they are to make, but also how wonderful they make your skin look and feel! Add all ingredients to plastic bottle that has a lid and shake ingredients together very well. Shake before each use. Have fun with these natural body wash recipes and don't be afraid to switch up the oils a bit to suit your skin and and your scent preference. That is one of the best things about making your own skin care treatments, you get to choose what goes in them! Enjoy clean, glowing, beautiful skin the natural way! 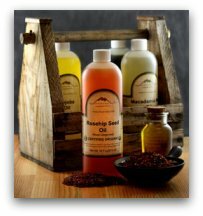 To purchase body wash supplies, below are quick links to all the ingredients in the above recipes. The Handcrafter's Companion Contains More Than 126 Step-By-Step Product Recipes for lotions, butters, creams, balms, bubble bath, spa treatments and more.